While they have yet to eat my brain, there have been Zombies in my head for the past couple weeks. Last week I wrote that Dead Space was one of the few horror games that succeeded in making me feel like I was becoming a monster. This ties into one of my favorite conventions in great zombie stories: the parallel transformations of the infected and the survivors. While some people lose their humanity by turning into the walking dead, others lose it when social rules and taboos break down during the apocalypse. It is difficulty to simulate moral degeneration in a single player video game, as the player must willingly buy into the idea that they have some sort of obligation to the virtual world and its inhabitants that goes beyond maximizing their personal chances for survival. Therefore, perhaps the best way to recreate the ethical dilemmas that arise in the wake of a zombie outbreak is to introduce more human players. 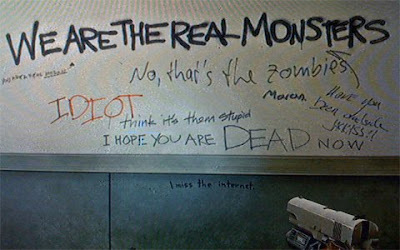 To this end, I would like to suggest some hypothetical game modes in Left 4 Dead. The Left 4 Dead series has always been a popular, carefully crafted zombie experience. It already provides a compelling argument for how important cooperation is in surviving the zombie uprising, but what would happen if players were given incentives to act less than saintly? Below are three hypothetical scenarios that would explore the darker side of human interaction during a zombie attack. 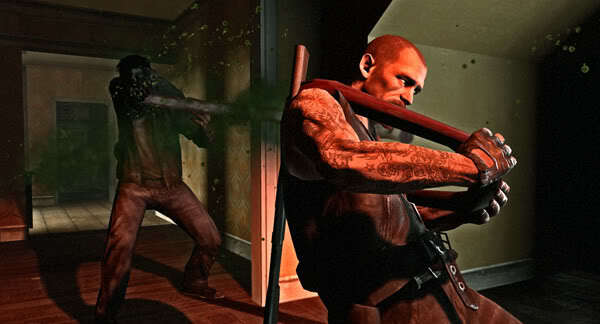 L4D has been lauded for dynamics that make cooperation not just optional, but necessary. Saving yourself invariably means saving your teammates, as the horde will overpower anyone that tries to go it alone. But, what would happen if it were difficult, or even impossible, for all four humans to make it out of a level alive? For example, there could be obstacles within a level that allow the four players a choice as to how to surmount them. The players come to a narrow alley and find the way through blocked by a pile of debris that can only be moved by at least three players. There is also a an automatic door leading into a building that would let the players pass through to the other side of the alley. However, the door must be held open by one other player in order for another to make it through. In this situation, would people try to convince one player to prop the door by promising to move the debris once they got to safety? Perhaps they would risk getting trapped in the alley and try to move the debris together in solidarity? If one person agreed to keep the door propped only to be surrounded by multiple Tanks after the others got safely through, could this poor soul expect any help? Three survivors is still a pretty solid team, and there is always a chance you will lose people in the rescue attempt. Additionally, what if players reached the end of a level to find that the helicopter rescuing them could only take three, two, or even one person to safety? Would the humans turn the guns on one another, would they argue about who deserves to be saved, or would a hero step forward in self-sacrifice? In any case, the attacking zombies would soon illuminate what type of beasts spring forth from inside the players. There comes a point in every zombie story when someone is either infected or suspected of being infected with a bad case of zombitis. The only cure is a serving of hot lead to the cranium, but a misdiagnosis could turn a mercy kill into a murder. By calling into question the absolute benevolence of humans, this mode could simulate the paranoia and the callousness bred during a zombie attack. Envision a mode in which the players are told that one or more of them might be infected. The infection takes hold slowly and the victim will still be able to act normally for a time. Eventually, the virus will take over and transform them into an agile, intelligent, gun-wielding, AI-controlled Special Infected zombie. There is an antidote at the end of the level that can cure them if you can reach it before they transform completely. 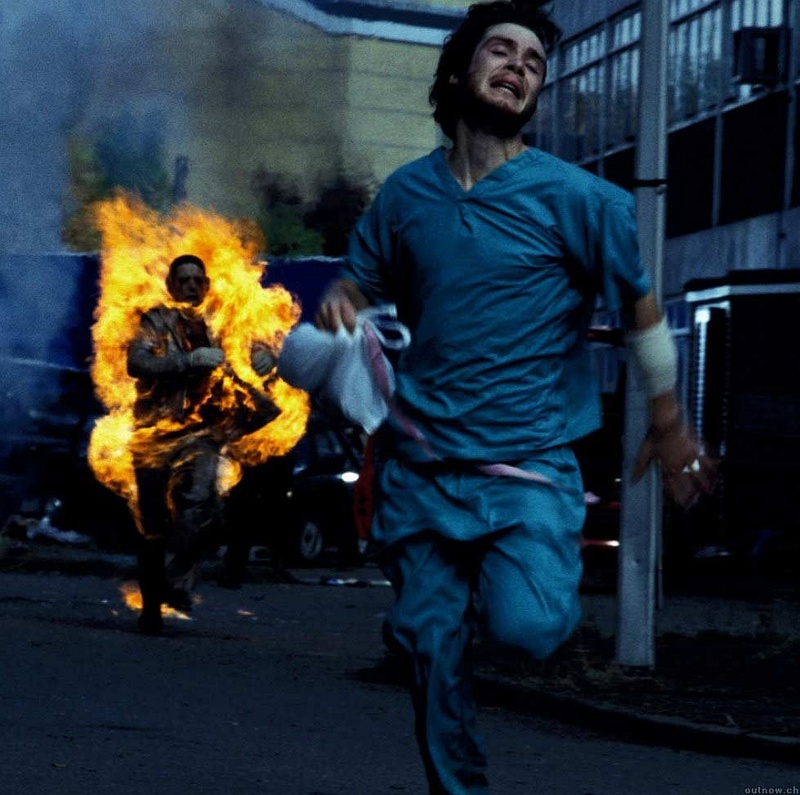 This mode would immediately put players on guard, even if no one turns out to be infected. If a player seems a little slow on the draw or appears to be controlling poorly, it may be a sign of degeneration. On the other hand, it could also mean they are simply not a great player and still completely human. Perhaps it is best to simply kill someone you think is infected and prevent a bigger problem down the line? Of course, unless an infected person admits they are an undead-man walking, you may have just killed the person who would've saved you from that Smoker stalking you from the rooftop. As you get closer to the end of the level, do you try to save someone who seems to be transforming, do you listen to a player's fervent assurances that they are still "one of you," or do you slam the door and save the only person you can trust: yourself. No matter how desolate the world becomes, there will always be something to covet. Maybe once the economic system collapses under the weight of the walking corpses, we will go back to trading in gold. I can imagine that potable water would be quite a valuable commodity as well. Regardless of what it is, suffice to say that there will be treasure to tempt the hearts of survivors. Imagine that four players happen upon a briefcase of said treasure. Getting the treasure to the end of the stage is the goal, and as an added incentive there is a meta game that keeps track of your personal treasure total. This could be used to create Geometry Wars-style leader boards, or perhaps to open up alternate skins and bonuses. The point is that there would be actual value in amassing treasure. The problem is that the treasure is heavy: picking it up makes you run significantly slower and prevents you from using any two handed weapons. Clearly, you will need other players' help to get this thing to the goal. However, the treasure will be divided between those who survive; with every extra survivor your wallet gets a little lighter. Would it be so bad if one of your fellow players "accidentally" slipped off the roof? And when it is down to two of you, would anyone be the wiser if your gun happened to "misfire" as their back was turned? Why should you share the profits anyway? You were the one doing most of the work. Zombies are frightening because they show us how easily humans become monsters. When faced with our own demise, the precarious laws and principles that guide our society are quickly consumed as easily as flesh and bone. To experience such a transformation in a game means that the player must see themselves as part of a human community that they can either protect or undermine. 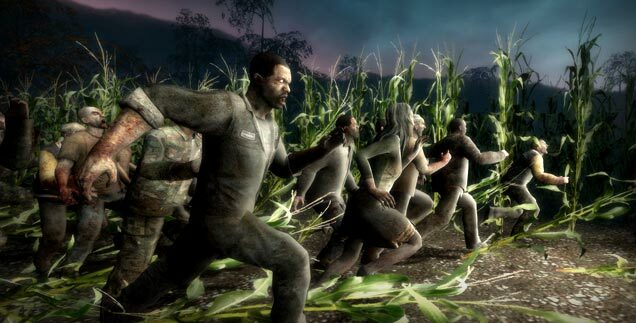 Because of its inherently social structure, Left 4 Dead seems like the perfect way to explore how cooperation is affected when things get bleak. I love the idea of infecting player characters. The helicopter is also fun---oddly, what it reminds me of is the level finales in Castle Crashers, where, having served side by side for the whole level, the players fight each other for the privilege of a smooch. But I'm tellin' ya, man, if you want to explore moral dilemmas in zombieland, you've gotta play Dead Rising! You gotta! You never played to the end of double dragon with another player? I don't think the helecopter scenario works, as it forces peoples hands. When you see real moral structures at work is when people have a choice. Like if you just make it highly attractive if one or two team mates die. Perhaps the remaining team mates get a substantial power up if others die after a certain time or in certain conditions. Just making three spots on the hele for four characters? That's just you as game author pushing players around when they shoot each other. You gotta do it in a way so they shoot each other because they wanted to, not because you made them have to do it. Hey folks, thanks for reading! I actually have played to the end of Double Dragon. Good catch, Callan, as that was what got me thinking about the PvP end-game scenario! Fuzzy, I didn't know that Castle Crashers did the same thing, but that's cool nod to its heritage. I think Callan's criticism of the helicopter scenario is indicative of the problem of trying to explicitly design moral choice in any game. In every scenario I imagined (as well as in games like BioShock, Mass Effect, etc.) morality is something the designer forces the player into. I suppose the trick is to make the choices something that appeals to the players' ethics as well as their utilitarian impulses. Really interesting game modes you've proposed here. I like the idea of self preservation, especially considering that there's always that someone in a L4D game that you'd rather leave behind. If you haven't already, I suggest you check out the comic book series 'The Walking Dead' by Robert Kirkman. Probably one of the best zombie morality tales I've read, alongside 'World War Z'. As an ongoing series, it really allows time to take its toll on the characters, and upon going back to read earlier issues, you really do feel a substantial sense of development. In saying that, the problem with games such as L4D is that due to the nature of it, longevity is not really that much of an option; there's Survival, but it doesn't feel like a post-apocalyptic road trip as much. It'd be interesting to see what a mechanic like thievery would do the the game, where you could take health packs or weapons from another player. Perhaps the item icon would not disappear until you went to use the health pack in a dire situation. When playing with friends, it's already a concern for me that they'll shoot you in the back for fun; it'd add a new dimension of trust if they could steal from you. That's my idea, anyway. Thanks for stopping by and for the recommendations! I think you bring up a great point about character progression and relationships being enhanced by time spent together. It's hard to feel an affinity towards a person you just met in a multiplayer lobby, which might make the decision to leave them behind easier. I also like your thievery idea. So much potential treachery!